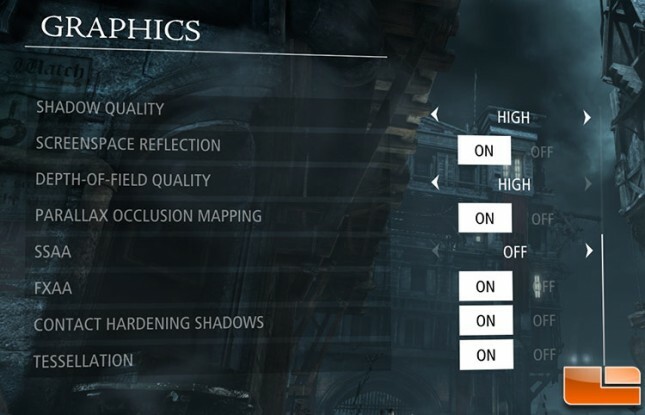 Thief is a series of stealth video games in which the player takes the role of Garrett, a master thief in a fantasy/steampunk world resembling a cross between the Late Middle Ages and the Victorian era, with more advanced technologies interspersed. 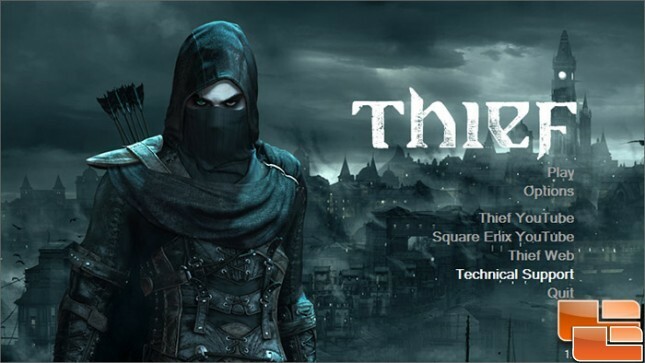 Thief is the fourth title in the Thief series, developed by Eidos Montreal and published by Square Enix on February 25, 2014. We ran Thief with the image quality settings set at normal with VSYNC disabled. 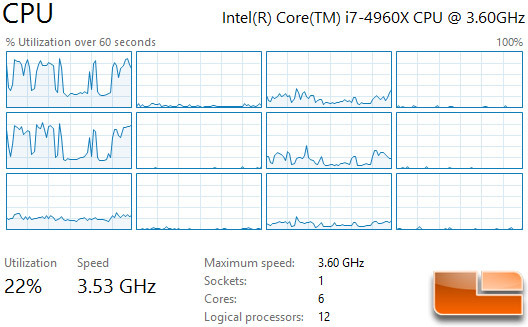 Thief appears to be running on the six physical cores of the Intel Core i7-4960X processor and averages around 17-24% CPU usage from what we were able to tell from the CPU utilization meter that is built into the Windows 8.1 task manager. 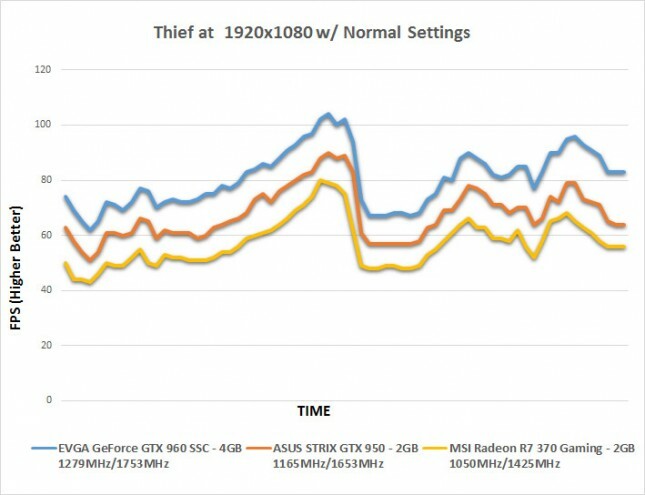 Benchmark Results: The ASUS Geforce GTX 950 STRIX averaged 67.8 FPS and the MSI Radeon R7 370 was just shy of 57.3 FPS, so the GTX 950 was 18% faster than the R7 370. Benchmark Results: Some pretty good scaling here from the $150-$200 price range cards. 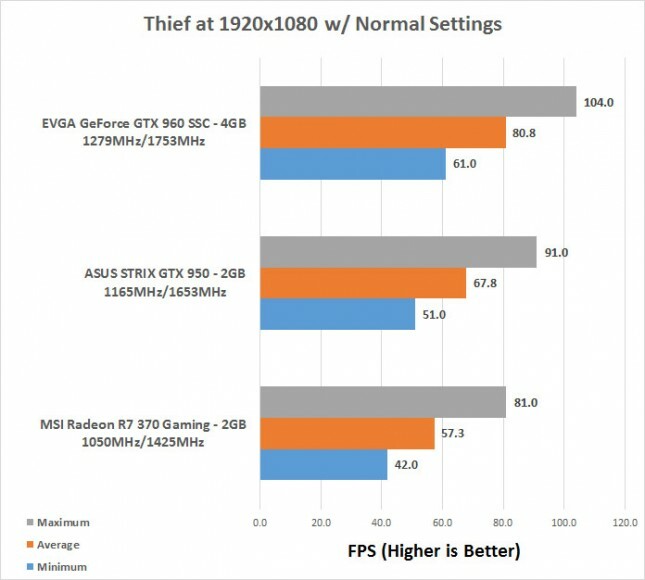 were seen here in our Thief benchmark run.